Successful business owners are always learning and finding new ways to improve their operations. But business owners who “draw a line in the sand” and close the door to new methods, new technology and updated equipment can see a drop in market position, revenues and profitability. 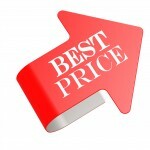 As a result, buyers for these businesses will only offer a discounted price, and oftentimes a heavily discounted price.